In light of some new Toynbee Tiles showing up in Philadelphia, Patrick Rapa talks with expert Justin Duerr who, it turns out, spends more time talking about comic strip artist Herbert E. Crowley. 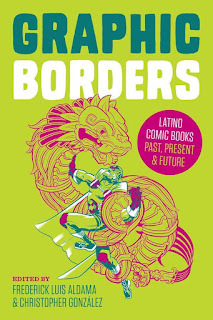 Frederick Luis Aldama and Christopher González respond to some questions about Latin@ representation in comics. The piece ends with a great list of creators you might want to look up! Jamie Coville has some tips for covering comic conventions as a member of the press.